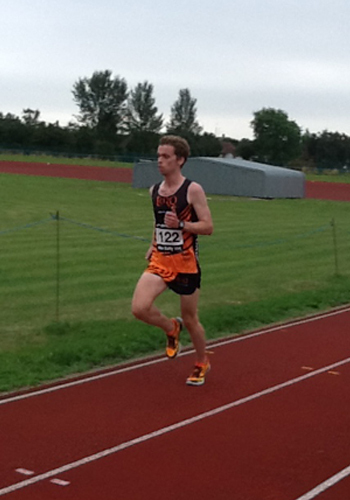 Having enjoyed a week away on holiday and a Summer of racing on the track, this was to be my first race wearing the TORQ kit and I was looking forward to my first 10k event. The Mel Batty 10k has been going for 3 years now and is in memory of my former coach Mel Batty who sadly passed away. Mel Batty was the 10 mile World Record holder in the 1960s and was one of the best British long distance runners of his time. His 10 mile World record was 47mins and 26secs! At the start of the race, I wanted to get a good first mile under my belt that was pretty quick, so I headed straight into the lead (which was down a country lane then up a short sharp hill). My first mile split was 5.10 pace, which was slower than I wanted, but it was ok as that part was on an incline. The next mile was 4.52, as I was back on a flat road and so I really tried to push hard to get the pace back to where I wanted it to be. I passed 5k in 15.40, which was solid. I was way out in the lead at this point and kept working hard up some of the gradual hills of the course and it felt like today was a good day. 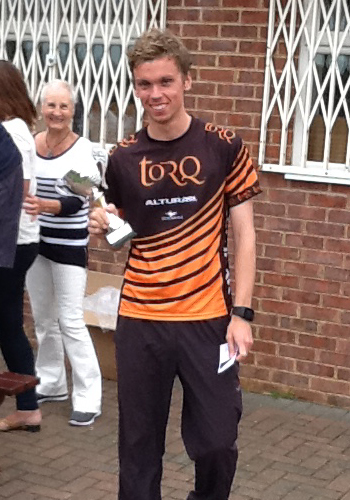 I was really happy to finish the race in first place in a time of 31.48. I must admit, I was happy with the win, but a little bit disappointed with the time, as 4 weeks previous to this, I ran a 14.19 for 5000m on the track, so 15 mins through half way for 5k should feel easy, but today it just didn’t. (I believe the travelling back from my holiday on the Friday left me tired I think)! My next race is the Great North Run on the 13th September, my PB is 1.06, so it will be interesting to see how I get on! Thanks to TORQ for all the help they have given me so far!